There's nothing like chilling in a swimming pool during those hot summers. 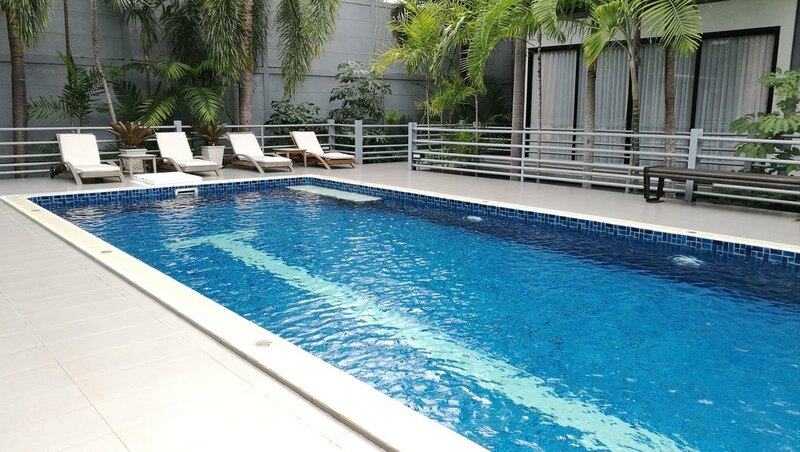 While you could go to a public swimming pool, having your own in your backyard is even better. However, you're probably aware of how expensive is to build a swimming pool through regular channels but don't let this sway you. Luckily for you, there are some awesome DIY pool ideas you can use and save yourself a ton of time and money, all while getting a brand new swimming pool where you can chill with your friends. Here are our 11 ideas you can use to turn your own backyard into an awesome oasis where you can chill with your family and friends, or all alone. 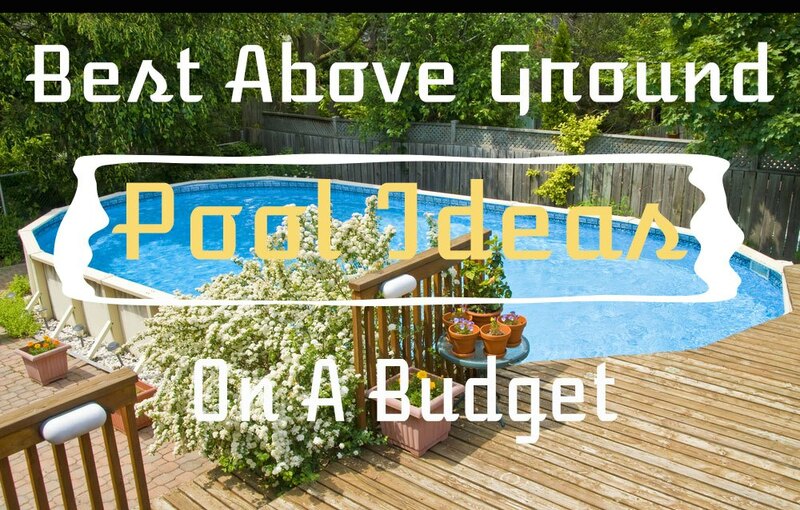 Constructing an above ground pool is usually cheaper but as expensive for maintenance compared to the regular pool. It's a quicker and simpler option for those who don't want to turn their backyard into a construction site by digging a huge hole. There's also an option of going with inflatable version, which you can use to test how much you'd actually use the swimming pool. Pick one of the many different sizes and shapes and you can have the pool for the whole summer - and store it when the season's over. You can take help of above ground pool vacuum to keep your pool safe and clean for longer times. 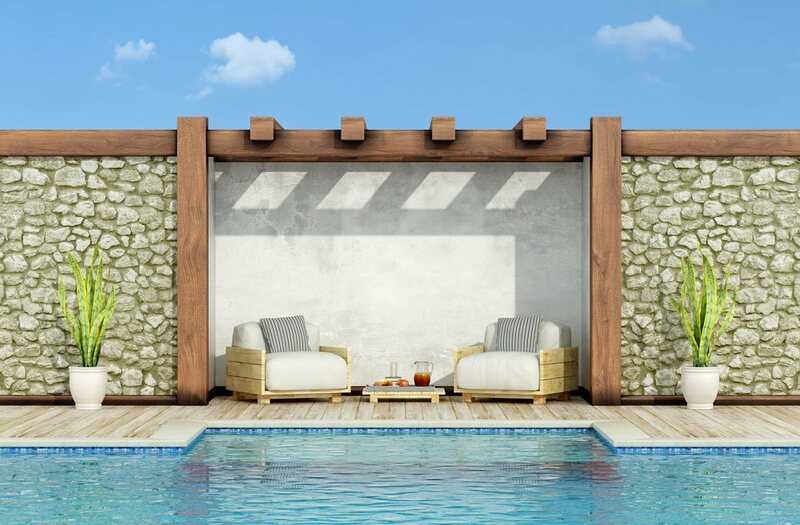 When wooden pallets are arranged in a square-shaped fashion they can form a great basis for a swimming pool, recommended by Topreviewedten. The size of your backyard is a non-factor since you can always make it smaller or bigger, based on your needs and capabilities. Thick plastic sheeting needs to cover the insides of the pool in order to make it leak-proof. You can pick any color you like, though default blue definitely gives it the nicest touch. Don't forget to build a ladder out of the wooden pallets either, so getting into the pool becomes less of a hassle. There you have it, a perfect summer setting for your enjoyment - right at your doorstep. The best thing about this project is that the sides of your outdoor pool won't be visible. 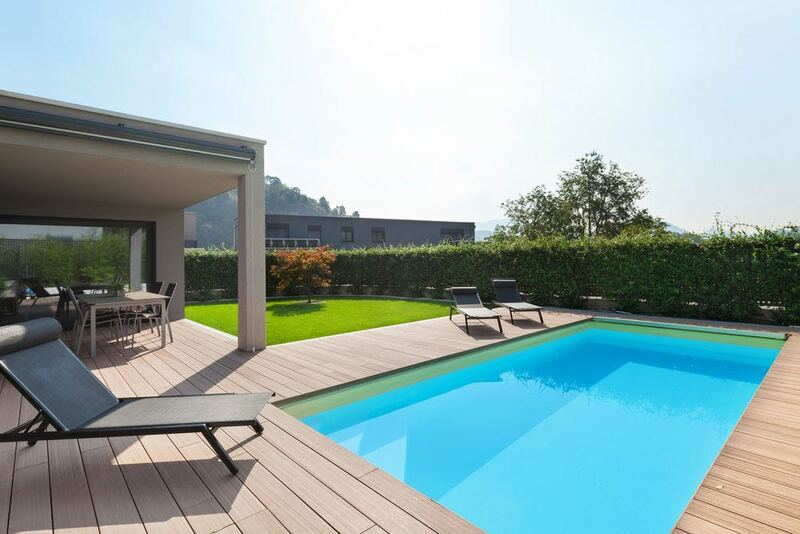 Instead, only the round shape and the interior of the pool will be made available to the eyes, while the rest of it lays hidden with a beautiful wooden deck raised around it. It's pretty cheap too because all you need to do is use the pallets to construct wooden frames around the pool and add external flooring to it. The pool will be about two feet above the ground, so adding stairs to it is a must as well. This pool's a real eye candy and is very children-friendly, so you're bound to be having plenty of fun with it in your own backyard. In New Orleans, an architect got an idea when he saw this huge dumpster and went on to go with a one-of-a-kind project of transforming it into a swimming pool. But to do that, he had to go through some key processes. His backyard needed to have a large hole in order to fit the dumpster in it, so digging it was necessary. Using special primer and paints in order to make the make the dumpster rust resistant. Rough edges on the container had to be softened, in order for it to be suitable for the family. Constructing a wooden frame around the swimming pool, so that it drops the ugly looks. In the end, the results were marvelous. There wasn't a simple thing pointing out that the brand new swimming pool used to house all kinds of garbage. Building a concrete swimming pool can cost quite a lot of money if you're hiring professionals to do it for you, however you can always invest a lot of your own effort, time and determination and build it yourself for a huge cut in costs. Before you do that, you need to make sure you get some supplies though. Concrete. Lots and lots of concrete. Steel for the frames to hold the concrete. Plaster for the coating and potentially some decorations. A water pump to get the water in. A water filter to keep the water clean. The whole project, if done right, can cost you less than five thousand US dollars, and in turn you'll get a well-built swimming pool you can be proud of. Keep the plumbing as simple as possible to further cut the costs. 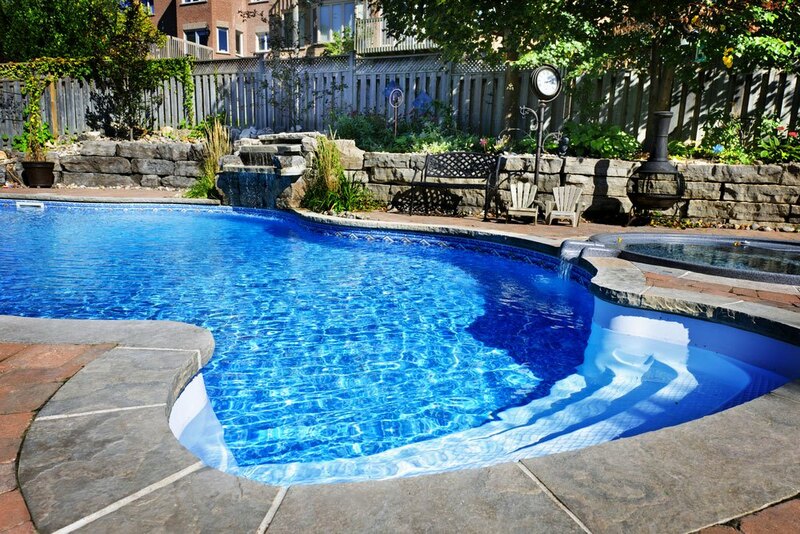 You can choose whether it's going to be a square-shaped pool or a curved one, but keep in mind that the curved one is a lot stronger - in case you're in an area where earthquakes occur from time to time. Natural swimming pools are a thing in Europe, even though they're not as popular in the US. The idea is for the swimming pools to be built without relying on huge amounts of chemical additives and manufactured materials. Instead of using concrete or fiberglass, like regular swimming pools do, natural ones would use gravel stone and clay. It's the cheapest and most Eco-friendly way of building a swimming pool, and here's how to do it. Dig a hole in your backyard. Go with the shallow or a deep one, that's up to you. Make sure that it has sloping slides, or you'll be running the risk of the sides caving in. The ratio should be 1 foot vertical drop for every 3 horizontal feet. Leave about 50% of the pool's surface area for shallow plants, which will not only be visually beautiful, but will also filter the water - so you won't have to go with chlorine or any expensive water filters. Make sure that the pool will hold the water. You can do this by applying a layer of bentonite clay, or going with the concrete option if you want to invest more money. For about two thousand dollars, you got yourself a beautiful natural pool. And on the plus side, you won't have to drain it each autumn. Once you've filled it you'll only be topping it off from time to time. 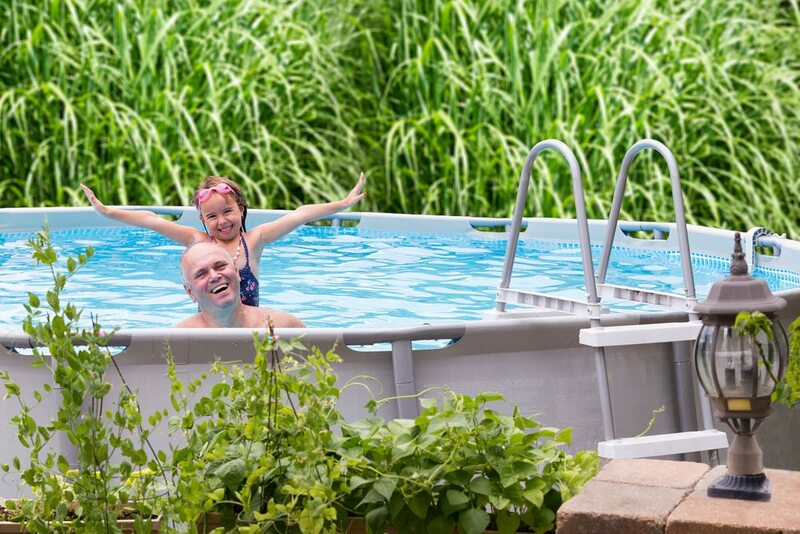 Having the stock tank serve as a swimming pool is an extremely cheap solution, but one that will still satisfy most of your and your family's needs. The tank is about two feet deep and eight feet in diameter, which is more than enough to cool you off through the summer. There's no need to add any chemicals like chlorine either, as the water filter you install will manage most of the algae and other debris. Use the wooden panels or rustic stone and place them around the tank to mask its exterior a bit and you're all done. It's fast and cheap, the best solution if you're looking to get a swimming pool really quickly. Using a shipping container to build an in-ground swimming pool is fairly cheap, but with this one it's the maintenance that kicks in. 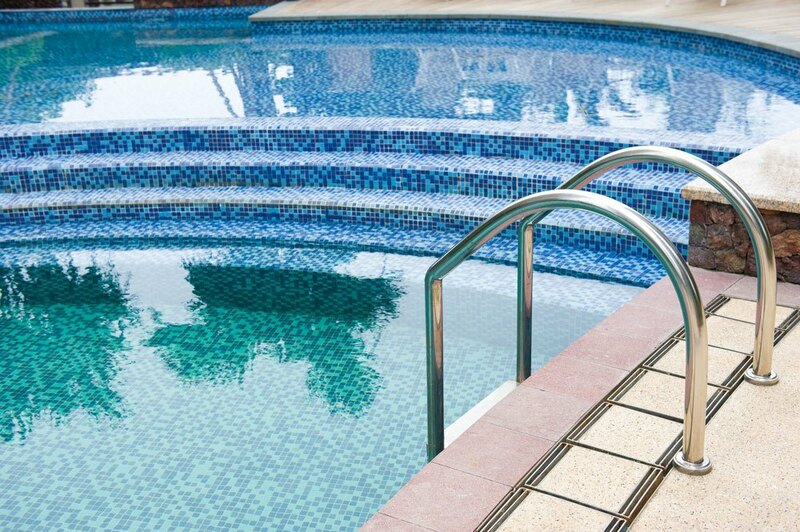 You need to make sure that the pool doesn't catch rust on the inside, as well as prevent the water from getting dirtied with sand particles. That's why you need to make sure to paint it on regular basis and use the right paints while at it. Installing water filters and heaters is a must too, but in turn you'll get a great (and big) swimming pool which will make your neighbors envious. Three Irishmen came up with an idea to build an outdoor swimming pool by only using bales of hay, plastic sheet and some rope. And the result is amazing. Here's a step-by-step guide how you can do it as well. Find a flat spot. This one's essential, as you don't want to have a bumpy bottom. Spread hay evenly on the planned spot, it will serve as a soft bottom. Arrange bales of hay so that they serve as the pool edges. You can go with a squared shape, since it's the easiest. Check your plastic sheet to make absolutely sure there are no leaks. If there are, you can use some duct tape to fix it. Put the sheet inside the hay bale frame. Put some weight around the pool to hold the hay bales in place once you add water. There you have it, probably the cheapest swimming pool possible. Sure, it's only temporary, but it's also really easy to set up, so you can do it in the morning and enjoy in it for a whole day or two before dismantling it. Now this one sounds just plain crazy, but it's actually quite viable. Making this pool includes some heavy drinking though, as the Dutch men that originally made it used a huge amount of beer crates (138, to be exact) which totals to around three thousand beer bottles. If you've got the materials, the process is pretty much the same as with the hay bale swimming pool. Arrange the crates of beer in a square shape on a flat surface, put some plastic sheets inside and fill it with water. You'll also have the beer within arm's reach. A great way to spend a day with some buddies. This one's really unusual but can look really nice. The idea is to dig a shallow hole and bring the recycled bus in it after it's cleaned and decontaminated of course. While you can just cut the roof of the bus, it's not only expensive to do so but it's also prettier to just leave it like it is and have a roof over your swimming pool. Add a water filter and make sure there are no leaks and you're all set to fill it with water. It looks just amazing, doesn't it? Having a swimming pool in your own backyard is one of the best ways to cool off during the summer, but doing it yourself and saving a lot of money while at it is even better. 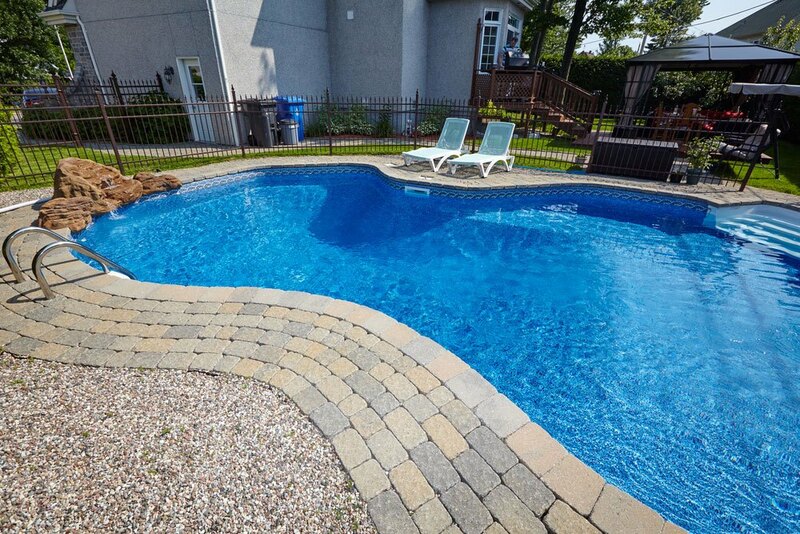 Also keep in mind that sometimes it's actually cheaper to hire professionals like Rise Engineers Civil Design Solutions to build you a vinyl liner pool, which among many advantages also costs way less than fiberglass or concrete pools. If you've found just the right pool idea while going through our guide, we hope that you'll soon be neck deep in water and we wish you good luck in your construction endeavors.